Duke Chapel will host an interfaith Bridge Panel to discuss sacred space. 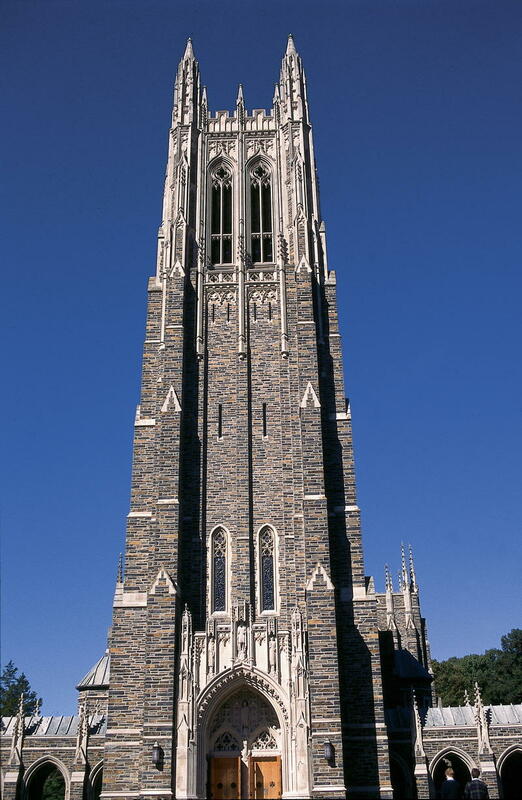 Campus faith leaders will gather for a panel discussion about sacred space at Duke University this afternoon. This comes one month after Duke canceled plans to let the Muslim Student Association sound a call to prayer from the Chapel Bell Tower. When that happened, Chapel Dean Rev. Luke Powery said he would work to keep dialogue open on the issue. Powery says this discussion will be part of a larger series of talks held at the chapel called Bridge Panels. Last semester, community members discussed the causes and effects of violence. Powery says today’s panel will include two Christians, a Muslim, and a Jewish campus leader. He says interfaith dialog is more important than ever. “For me I think it's the hope that we would be able to see and affirm one another's humanity,” Powery says. 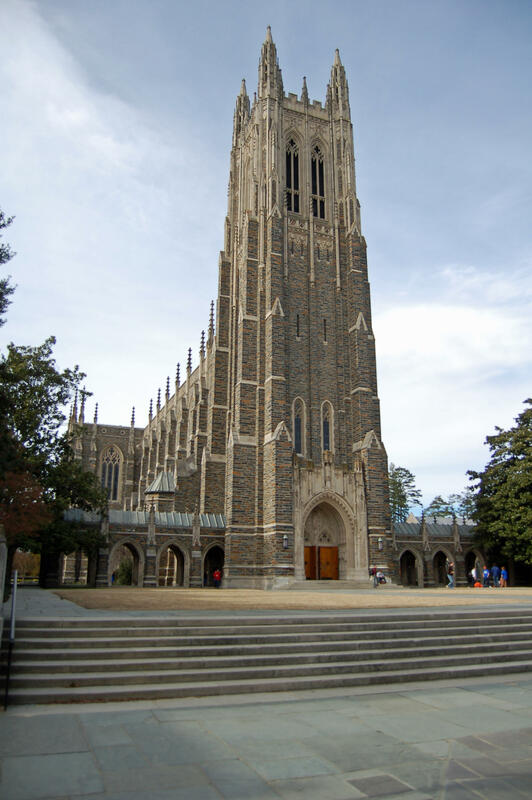 The panel will be at the Duke Chapel at 12:30 p.m.
Duke University announced this week it would allow the traditional Muslim call to prayer from the Duke Chapel bell tower. The reaction from some Christian groups was angry, and today the private university in Durham, N.C., reversed course. 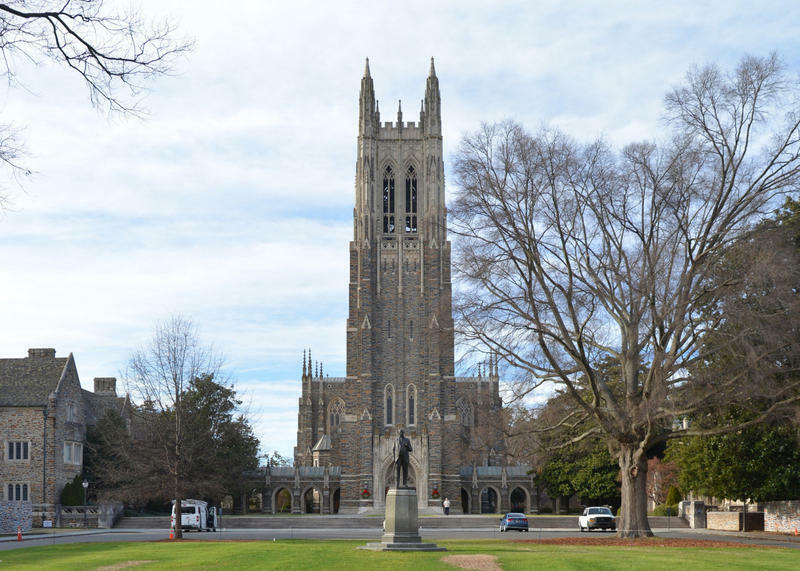 Duke University has reconsidered a previously announced plan to present a traditional Muslim call-to-prayer from the Duke Chapel bell tower, campus officials said Thursday. The call to prayer, or “adhan,” which announces the start of a weekly jummah prayer service that has been held in the Chapel basement for the past several years, will not come from the bell tower on Friday as announced earlier.